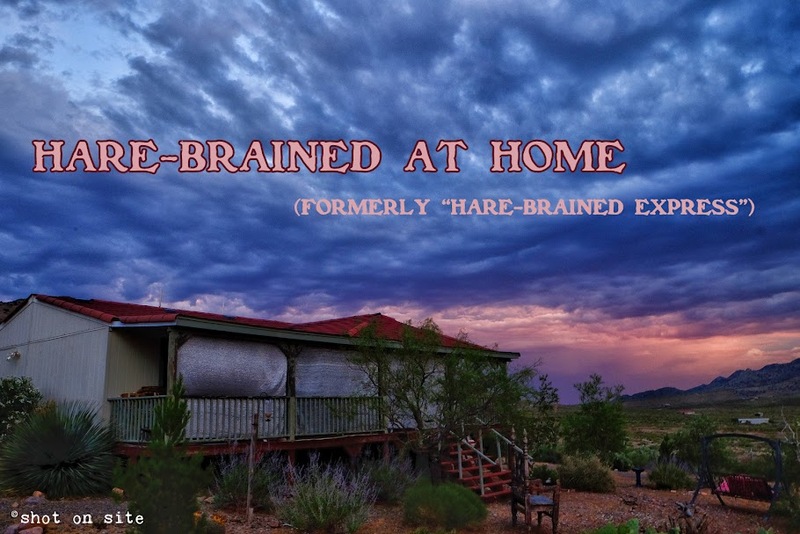 Hare-Brained at Home (formerly Hare-Brained Express Tour): Ch-Ch-Ch-Changes..
As promised, (though not as expeditiously as previously implied..) a story about the completely new direction our lives are about to take. First let's back up to some time last Spring.. or maybe it was Summer. At Margaret's usual monthly trip to the auction, she met a lady from Madison, WI who happened to live near us. As they became better aquainted, Sam (Samantha, I presume) told Margaret about a conversation she'd had with the owners of the little, used bookstore in town. She was interested in buying the store, and wondered if we would be interested in going in on it with her. We were intrigued, did some digging around and some research and decided that yes, we would be interested. As our interest increased, Sam's seemed to wane. So much so, that she left town last Summer to return to Madison, but is now residing also in Florida. That did nothing to dampen our (Margaret's) resolve. Roping in a family member to be a "silent partner", we set the wheels in motion to become book store owners. The first thing we needed to do was buy the building from the person who was leasing it to the book store business owners. We didn't want to be at the mercy of a stranger who didn't even live in New Mexico. That was accomplished a week ago, Tuesday, when we closed the deal on the building and property. The business owners' lease expires at the end of May. At that time, we'll purchase the inventory, and take over the business, while the current owners retire to the house they're building in the wilderness of Datil, NM. (Look it up). While we won't change the name of the store, we'll be doing business as Dog-Eared Enterprises, LLC. We'll also be creating some gallery space in the store for my local landscape and nature images, so Shot On Site Photography will also be folded into Dog-Eared Enterprises. The store features extensive titles on southwest history, New Mexico, the borderlands, plus all the other topics you'd expect to find in a bookseller's. We expect to have an increased internet presence over what they're currently doing, including a Facebook page, which I expect everybody to "Like". The dusty backyard visible in the pictures, will have a chain link fence installed to complete the enclosure, and will become 1) a dog yard for the daily "store dogs", and 2) a space to rent out for "events" such as weddings or receptions and such. So with that, we are truly, once and for all, completely retired from the "traveling to dog events" business. It was fun, but we're moving on.